Here is the scrumptious breakfast recipe! This is the instant and easy dosas made up with wheat flour. 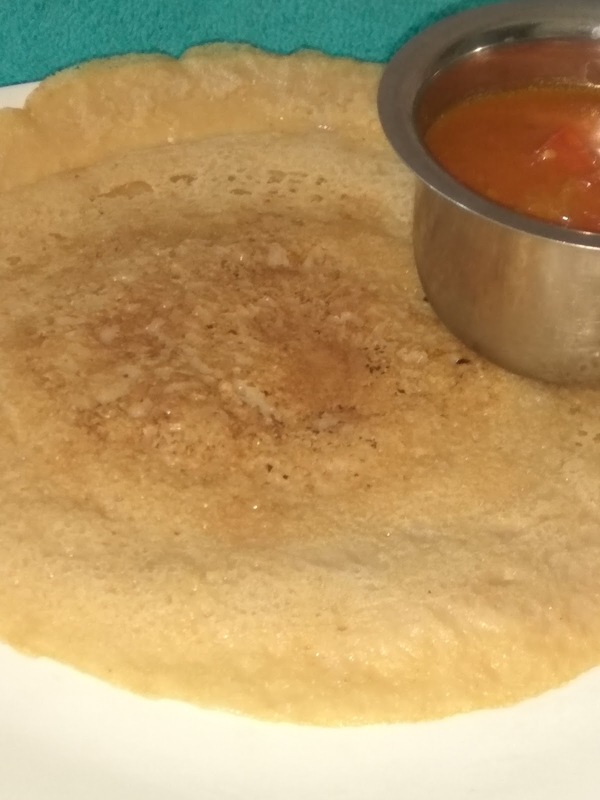 This dosa is highly recommended for weight loss. 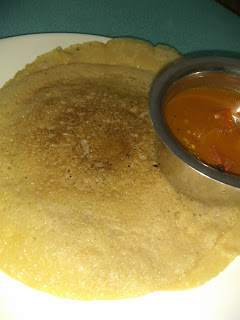 These wheat dosas are wonderfully gone well with tomato kuzhmbu. 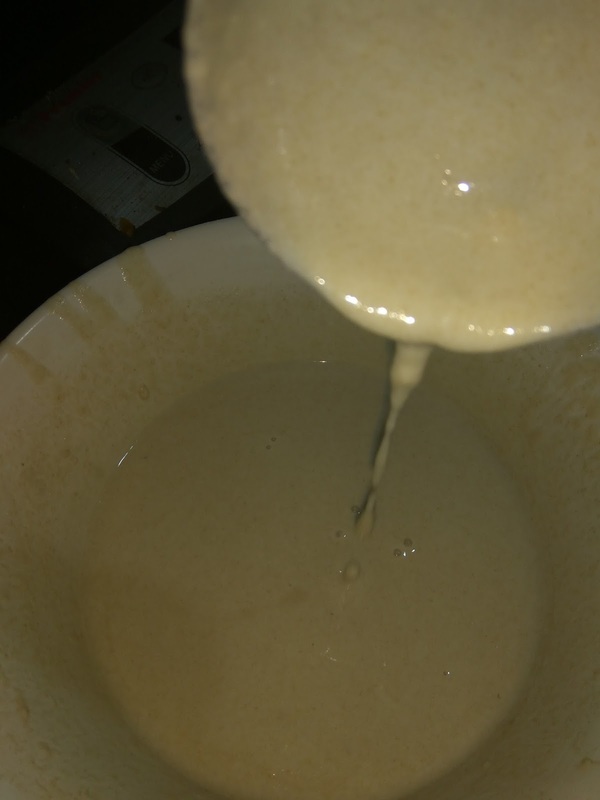 Mix the wheat flour, salt and four cups of water. 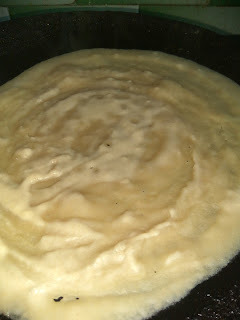 Take care that the batter should be dilute little more than Rice dosa batter. 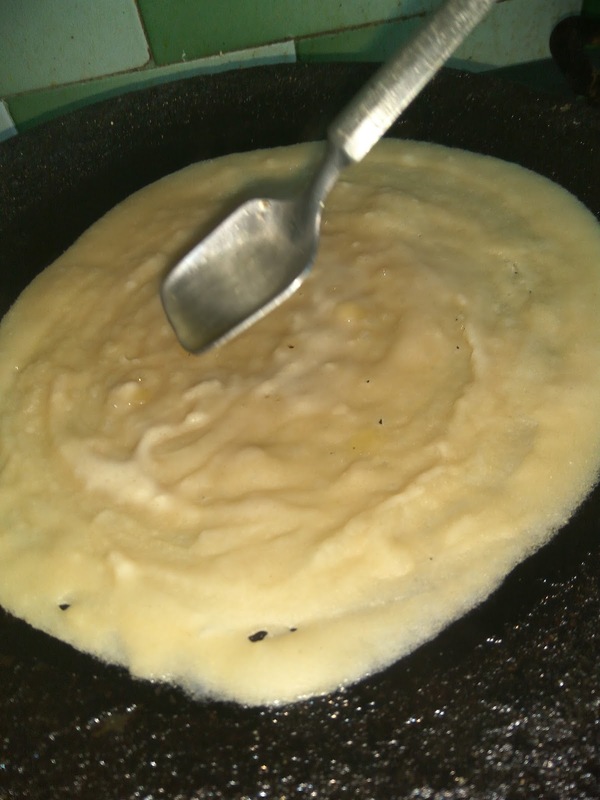 Pour one ladle of batter in the centre of the skillet and spread the batter as a thin and circular motion. 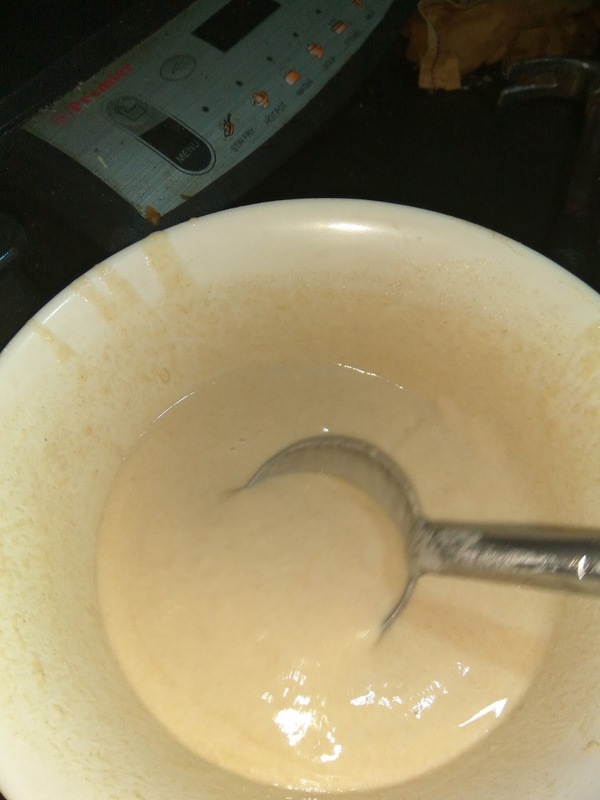 Let the flame be in the medium. 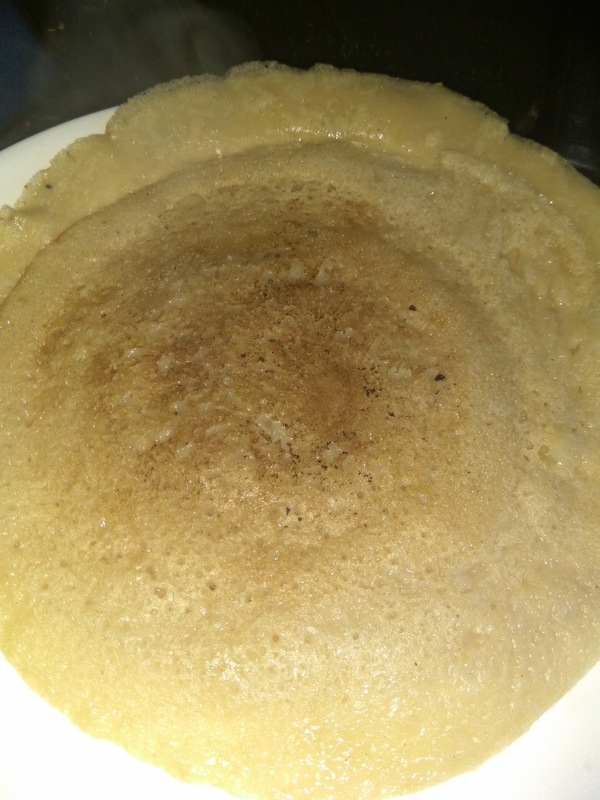 Wait for a while until the dosa cooked with air holes around. 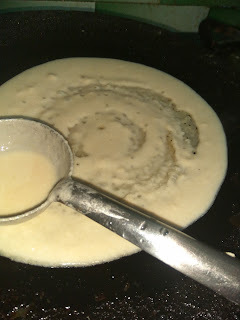 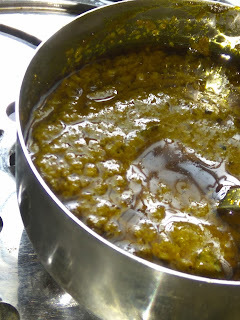 Drizzle half a spoon of pea nut oil around the sides of the dosa. Take the dosa using a spatula and flip over the other side. Take out the dosa and collect in a dry plate. Now the crispy and thin wheat dosas are ready to have. 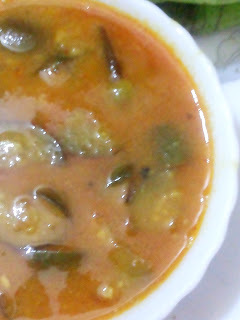 Enjoy with tomato chutney/coconut chutney/tomato kuzhambu! 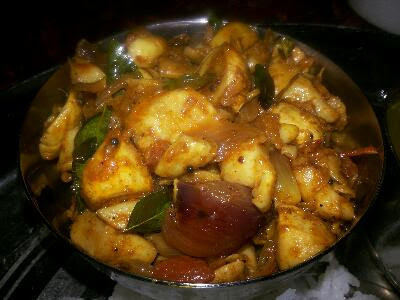 We like to have with tomato kuzhambu.